I found this photo on PostSecret (which, by the way, is one of my all-time favorite sites and an incredibly ingenius ongoing art/social experiment). 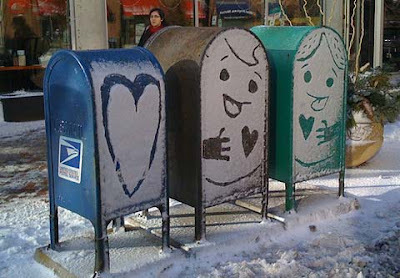 Make some art around your neighborhood and email it to me at caroline(at)bloomcreatives(dot)com. I'll feature all I receive here!